Bay of Fires Graphics offers website design and photography for individuals, small businesses, clubs and organisations. Providing them an with affordable, accessible online presence for their business, and other computer services. 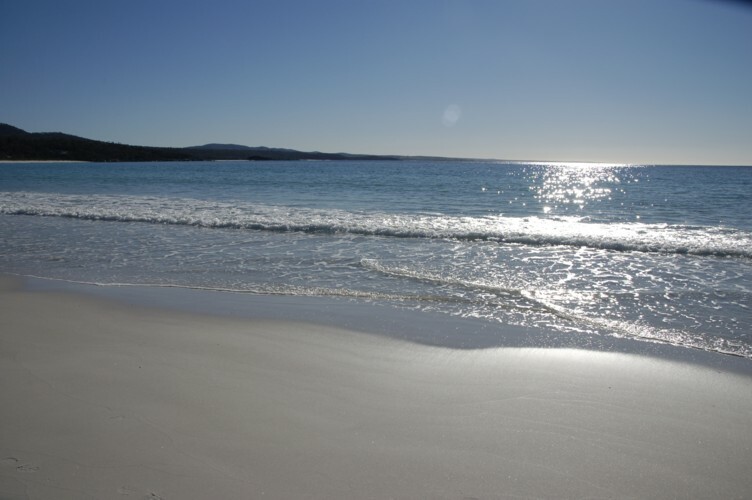 We are located on the East Coast of Tasmania, at Binalong Bay, on the World Renowned Bay of Fires near the small fishing village of St Helens. We believe in personal service and individual face-to-face help with getting your website online if that is at all possible. However, we can help you with the design of your website and business projects where-ever you may live in the World. We also help with SEO as it is extremely important to get your business easily found in search engine searches. We are a small company, and have quite a number of websites on the go at any one time. We like to spend our time helping customers maintain their websites and understanding more about how to attract business online. One our specialities is designing websites for holiday rentals. We have a personal interest in this area, and totally understand how your holiday rental needs to be presented to attract more guests. Remember in this day and age even if you have an existing website, perhaps it is not fully responsive. People need to be able to comfortably browse your website from a mobile phone, a tablet, laptop or large desktop computer. All too often we see sites that just do not work anymore. Sometimes only a basic tweak will get you far more business. So we are happy to give that old website of yours a facelift enabling you to attract more business from your online site. Therefore making you more money, as well as give your customers confidence that they are dealing with an up-to-date firm.